Graduation day has one reliable disappointment: saying goodbye to library database and journal access. Grads’ off-campus access to library databases ends weeks after graduation, as soon as IT closes your student GC network account. But do not despair, GC grads! 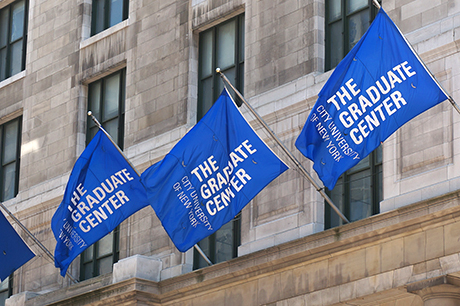 You enjoy lifetime on-campus access to the Graduate Center Library with a GC alumni photo ID. Stop by the Office of Security and Public Safety, 9th floor, to get your new alumni photo id. Then use your alumni ID to visit the library to borrow books and to use the full compliment of library databases. Additionally, the Graduate Center Library offers grads off-campus, anytime access to a subset of databases: JSTOR, Project MUSE, SAGE publications, Vault Career Intelligence, and Versatile PhD, the last two brought to you by the Office of Career Planning & Professional Development. JSTOR alone typically costs a subscriber $200 per year. To reach all five GC alumni library databases for no charge, simply register for an alumni user ID and password with the GC Alumni Office and follow the links to alumni databases. We would be delighted if you donate to the GC Library to cover our costs for this service, but you are under no obligation to contribute. Visit www.gc.cuny.edu/donate or call 212-817-7130 for more information. Contact GCAlumni@gc.cuny.edu with questions about your alumni user ID and password or about getting your alumni photo ID. By the way, GC librarians are ardent open access advocates, and we hope our alums too will work to reframe the privatized scholarly communication system. A better world, where no graduate is denied access to academic books and journal articles, can be realized. Glad you find it meaningful, Brendan! thanks for posting. HURRAY! Thank you so much. This makes a huge difference to me. I teach at a small private college that does not have the resources to purchase most of these databases, so I am delighted at this upgrade in alumnae/i privileges.